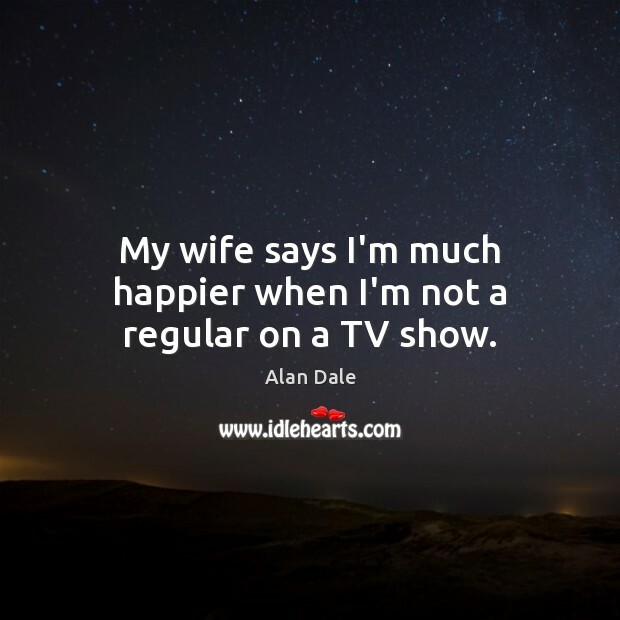 Enjoy the best inspirational, motivational, positive, funny and famous quotes by Alan Dale. Use words and picture quotations to push forward and inspire you keep going in life! The guys that write Once Upon a Time were major writers on Lost, and we had lunch when I started on OUAT and the first thing I said to them was, "I spent five years on Lost, you have to tell me, was my character good or bad?" They looked at me and said, "We have no idea." That's why you have to make your own backstory. 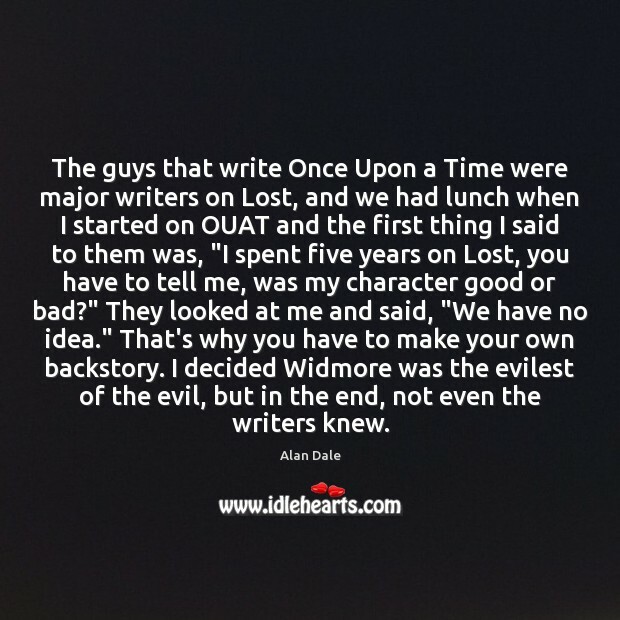 I decided Widmore was the evilest of the evil, but in the end, not even the writers knew. I came to The United States to see what would happen in 2000 after working for 20 years in Australia and asked my agent to look out for the nasty roles because I'd become famous for playing the nicest man in Australia. So I wanted to play bad guys. But I've been doing that now for 13 years so when I was offered the chance to do some comedy, I grabbed it. 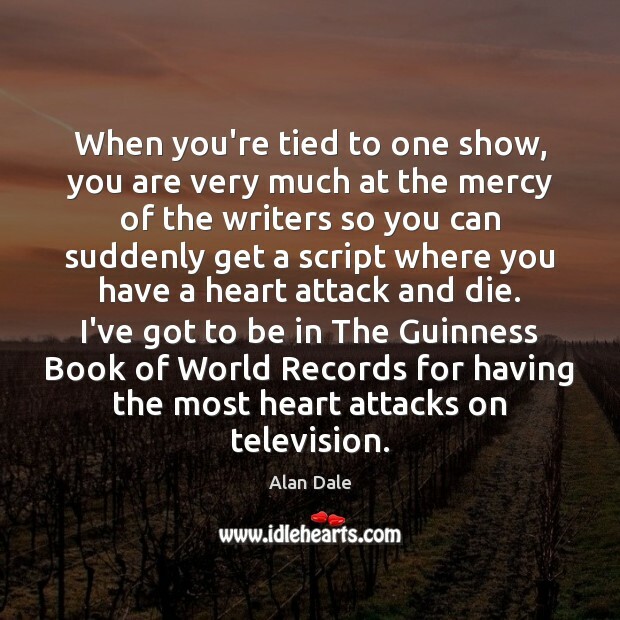 When you're tied to one show, you are very much at the mercy of the writers so you can suddenly get a script where you have a heart attack and die. I've got to be in The Guinness Book of World Records for having the most heart attacks on television. 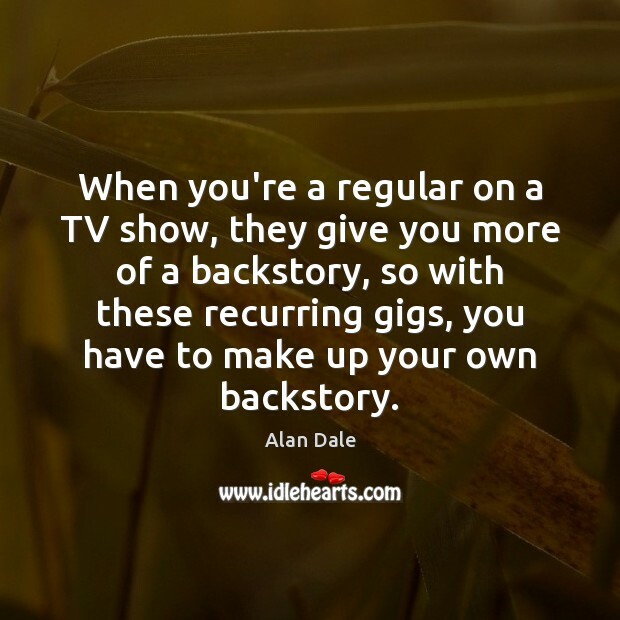 When you're a regular on a TV show, they give you more of a backstory, so with these recurring gigs, you have to make up your own backstory. 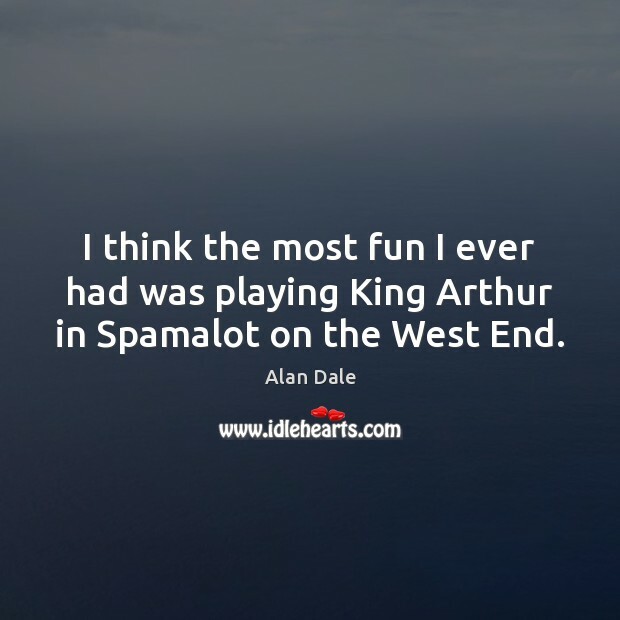 I think the most fun I ever had was playing King Arthur in Spamalot on the West End.